Around Christmas time many people will prepare ham or turkey but around our house we've always done a prime rib roast for dinner. With sous vide it's now easier than ever to have a perfectly cooked prime rib dinner without a lot of the hassle you normally have to go through. Usually you have to have the prime rib cooking in the oven for several hours...sometimes covered, sometimes not covered. Basting is normally recommended and takes time as well. All of this takes away from the day's festivities. On top of all the work you still need to make all of the other sides for the dinner. 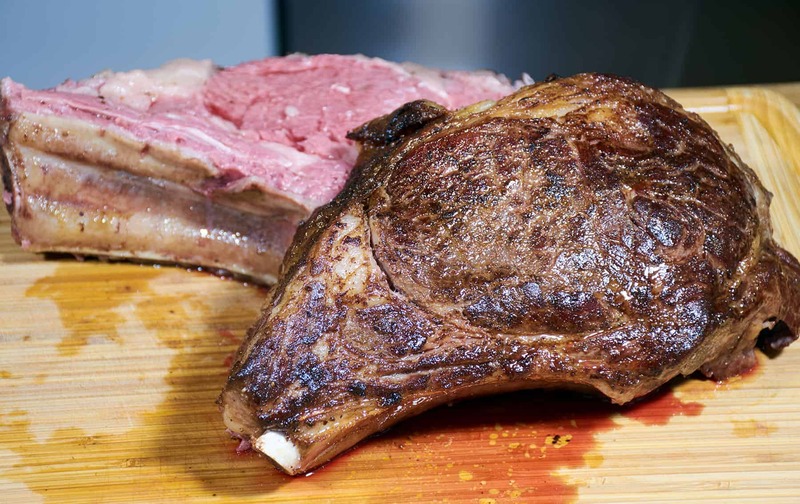 Making a sous vide prime rib roast eliminates the majority of the work entailed with the prime rib itself and ensures that the meat will come out perfectly tender and medium-rare throughout. 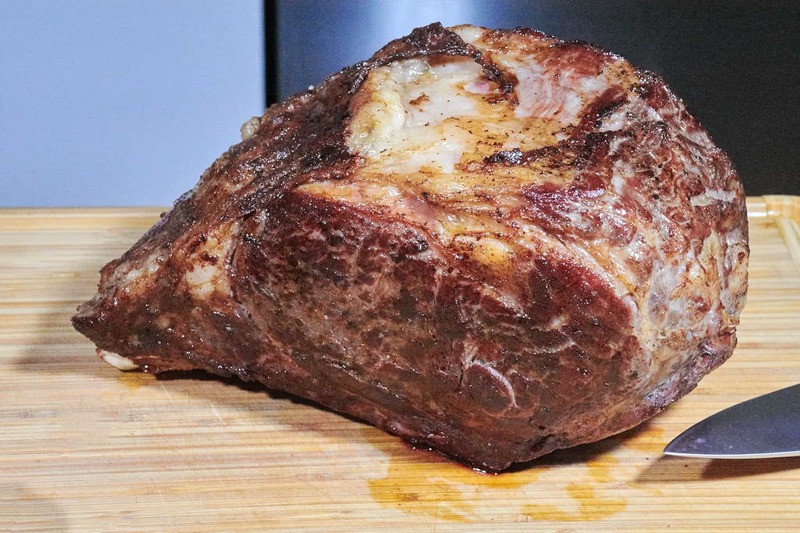 For a more complete descriptions of the process behind making a sous vide prime rib I have a thorough look at how to sous vide prime rib. 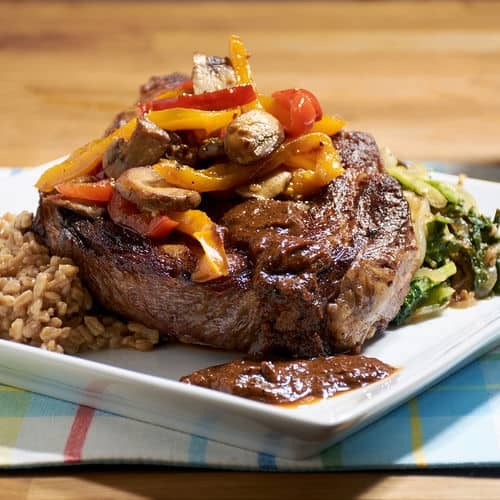 We like to add some extra flavor by applying a rub or paste to the outside of the roast then quickly searing or broiling it to form a nice crust. I prefer a nice garlic, rosemary, and thyme paste but many people love a horseradish or mustard crust on their prime rib beef. This technique can be applied to any kind of roast, from a sous vide standing rib roast to a pork roast or a simple sirloin roast. 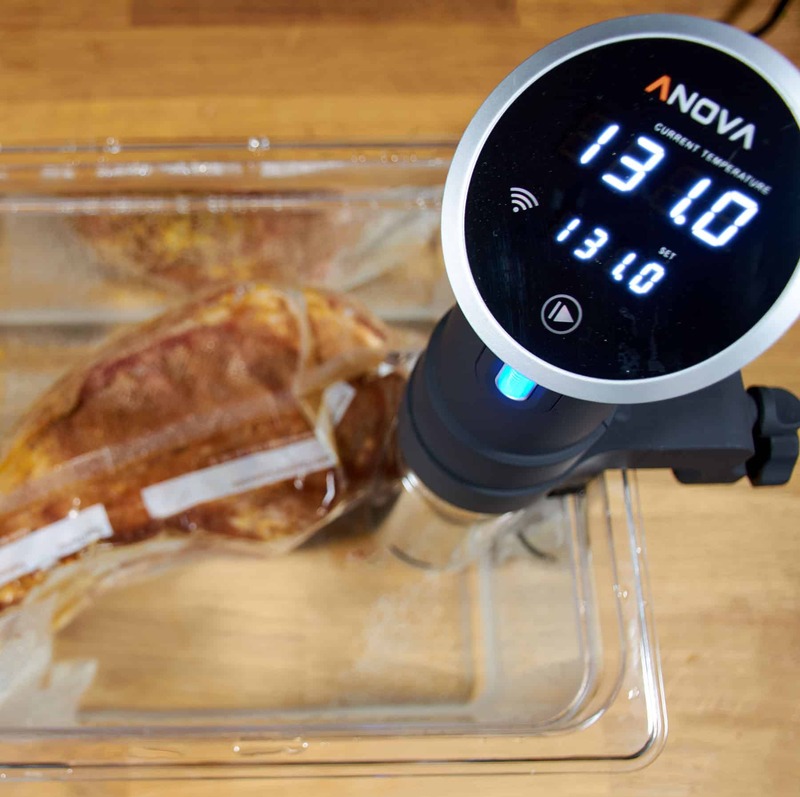 For some of the tougher cuts of beef you might want to increase the time spent in the sous vide. 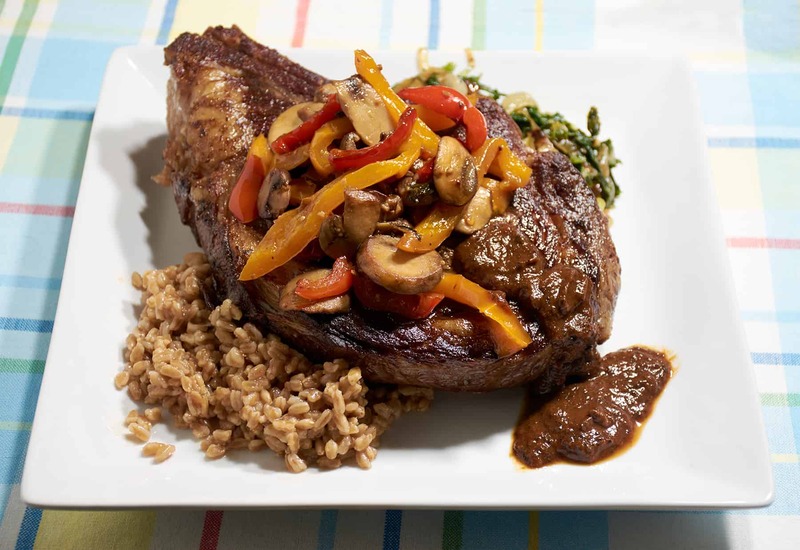 I also used grass-fed beef which I've found to have better texture when not cooked as long as the supermarket beef. The process of cooking a good sous vide prime rib roast is pretty easy. 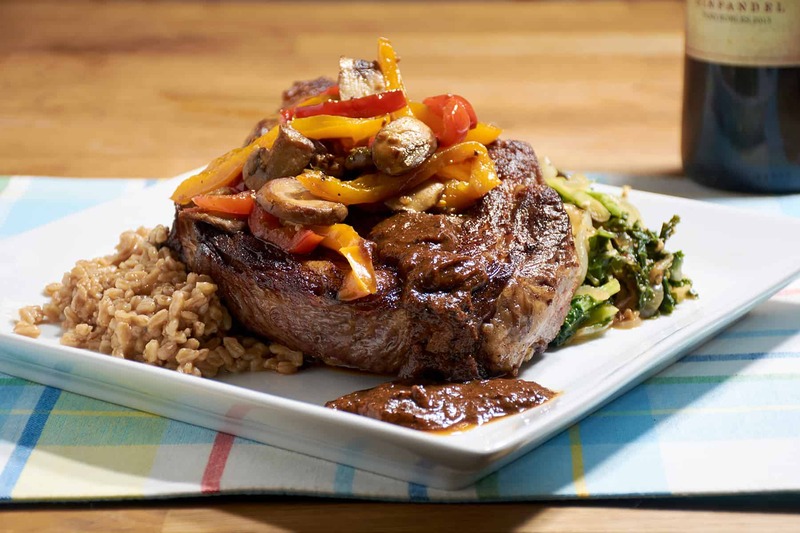 You first season the meat with any seasonings you might want to create a nice base flavor. I used a mix of garlic powder, salt, pepper, and ancho chili powder, as well as some fresh rosemary and thyme. Cook the prime rib sous vide for between 5 and 10 hours. I now almost exclusively cook mine at 131°F (55°C) for a nice medium-rare. I wouldn't go above 137°F (58.3° C) unless everyone at the table like it at least medium. As I said, I used a prime rib roast from grass fed beef which tenderizes faster so I cooked mine for about 6 hours and it was perfect but if you're using a supermarket top round or chuck roast you might want to try for up to 10 hours. Just before the sous vide prime rib is done pre-heat the oven to around 400 or 450 and then make the paste or rub that you will use for the crust. I roasted fresh garlic, rosemary, thyme, and olive oil and mashed it into a paste. 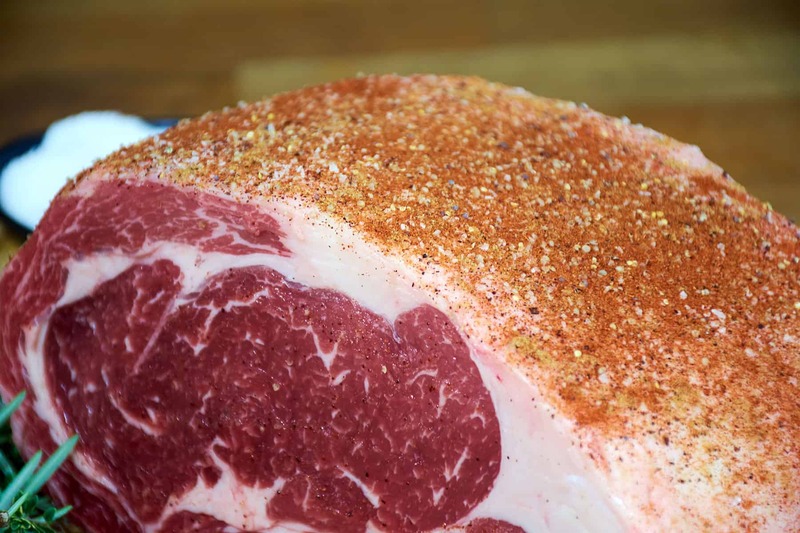 You can make any kind of paste or rub you prefer, there are lots of different variations on seasoning prime rib that you can adapt to this method. 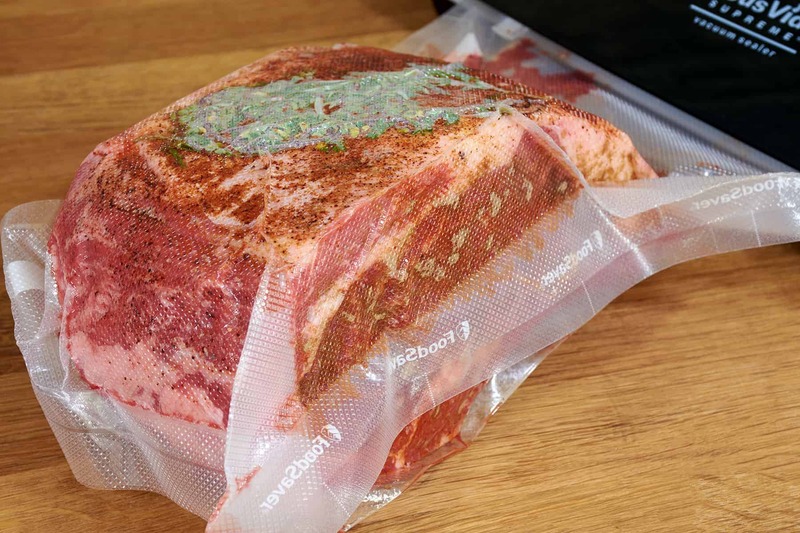 When the sous vide prime rib roast is done, take it out of the pouch and pat it dry. Then place the prime rib on a sheet pan or roasting tray that can go into the oven. Smear the paste or rub on the outside of the meat that is exposed and place the roast in the oven. You just want to leave it in there long enough to develop the crust but not cook the roast any more. You can also sear the sous vide prime rib roast after you take it out of the sous vide and before you put on the paste. However, I've found that this tends to overcook the meat more, since at this point any heat we apply is overcooking the prime rib. If you really like a good crust though it is an option. Once the crust is done you take the sous vide prime rib out of the oven, slice it and serve it. I served mine with roasted turnips but they are great with any normal roast side dish such as mashed potatoes, sauteed kale, mixed vegetables, a side salad, or polenta. If you would like more information about the modernist techniques, ingredients, and equipment used in the Sous Vide Prime Rib Roast you can check out the following. Pre-heat the water bath to 131°F (55°C). Cover the prime rib roast with salt, pepper, the garlic, and ancho chile powders and place in a pouch. Add the thyme and rosemary to the sous vide pouch and then seal the roast. Place the prime rib roast in the water bath and cook for 5 to 10 hours depending on the tenderness of the prime rib roast you are using. For a grass-fed sirloin roast 5 hours should be good up to 10 hours for a supermarket prime rib. About 40 minutes before the sous vide prime rib is done you will want to roast the garlic. Take the peeled garlic cloves and place them on a square of tinfoil. Add the rosemary and thyme leaves and the olive oil. Fold the tin foil around the garlic to make a sealed pouch and place in the oven. After about 30 minutes check the garlic to see if it is tender. It will likely need another 10-15 minutes but you want to make sure it doesn't burn. Once the roasted garlic is soft mashed it with a fork into a paste and set it aside. Take the sous vide prime rib roast out and the water bath and remove it from the pouch. Dry it off with a paper towel or dish cloth and place in a roasting pan. Smear the paste on the sides and top of the sous vide prime rib. Place the roast in the oven until the crust is done, about 5 minutes. Remove the sous vide roast from the oven, slice it into strips and serve. It is great served with mashed potatoes, a side salad, or mixed vegetables. 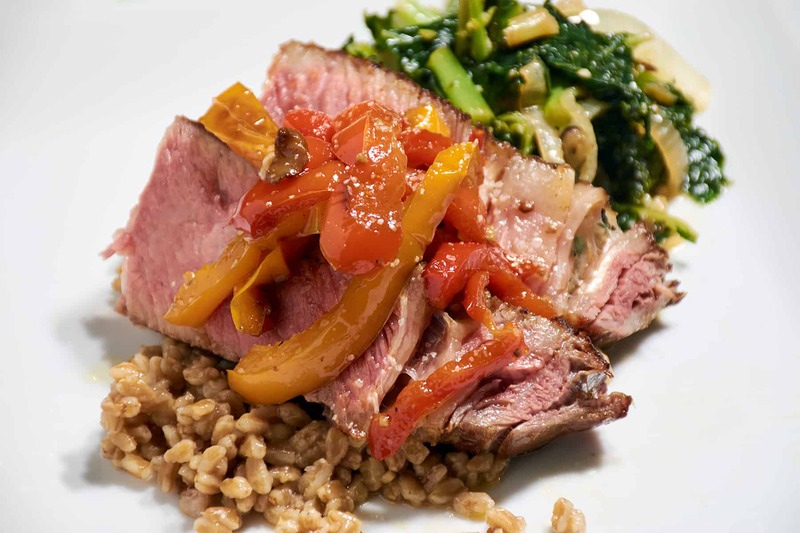 Using a sous vide prime rib roast it's now easier than ever to have a perfectly cooked prime rib dinner without a lot of the hassle you normally have to go through.